Hire a Kent swing band for events of every kind including wedding receptions, corporate events and birthday parties. The Swing Band are a Kent swing band for hire, perfect for parties, summer balls, corporate parties, charity balls and more. 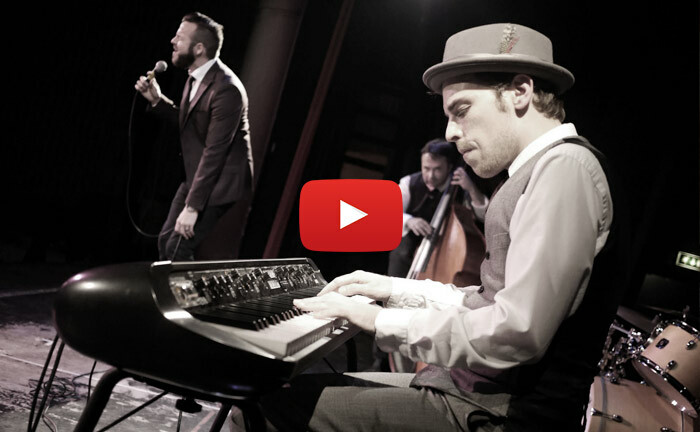 The band consists of four experienced musicians to create that authentic 40s swing sound. 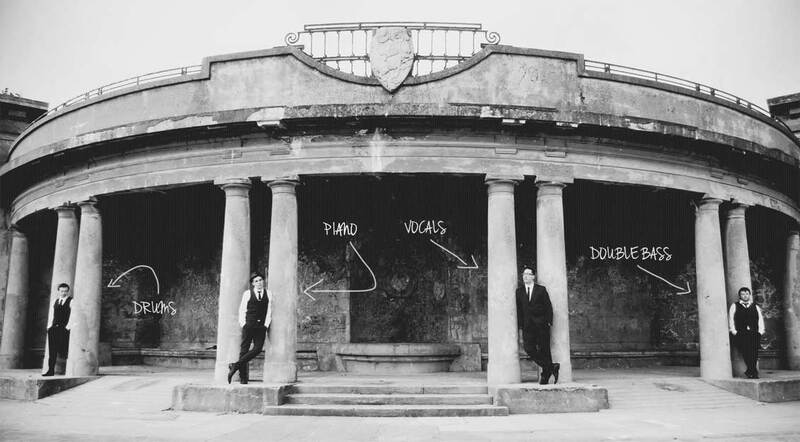 Featuring male vocals, piano, double bass and drums, their core line-up is perfect for events big small, whether it's music for dancing in the evening or background music for drinks receptions. For larger events you wish to add on saxophone and guitar to create a swinging 6-piece band. The Swing Band provide full PA system so you don't need to provide a thing. If you're not booking a DJ as well they also provide iPod music between sets free of charge and afterwards for a small additional fee. If you're looking to hire a Kent swing band please send through your event details using the contact form. The band are available to hire in the following areas in Kent: Ashford, Canterbury, Dartford, Deal, Dover, Folkestone, Gillingham, Gravesend, Herne Bay, Maidstone, Sevenoaks, Sittingbourne, St Peters, Tunbridge Wells and Whitstable.